Is Eurail Pass worth it? Aside from train rides, there are hundreds of other benefits and discounts all over Europe! Enjoy unlimited train rides in France for up to 8 days with the Eurail Pass for France (First Class), offering travelers complete convenience and access to both first and second class! Simply make a booking by selecting your departure date to France and your preferred validity period, depending on what suits your itinerary best. 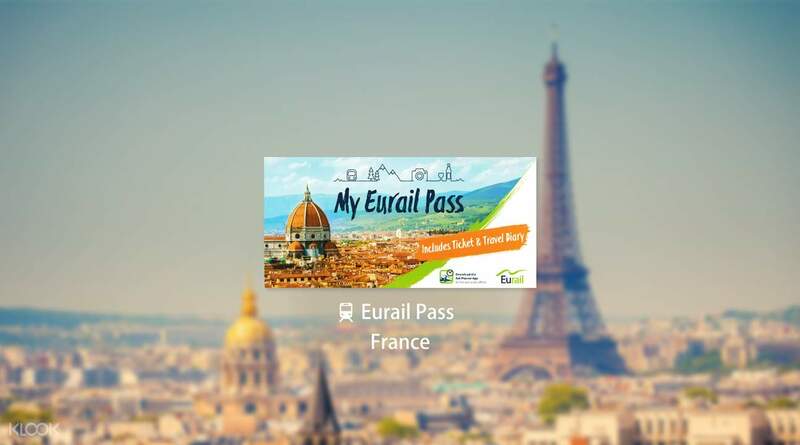 With the Eurail Pass for France, you just have to present your valid Eurail Pass at the train station, hop on the train, and off you go - no need to purchase multiple tickets throughout the trip! You'll also enjoy free delivery directly to your doorstep and other benefits like discounts on other means of transporation and city cards! Get unlimited train travel and access to first/second class in France with the Eurail Pass for France (First Class)!